Our philosophy as a Classical Christian school is built on the model of education known as the Trivium. We are committed to teaching and application of biblical truth to life and to working in partnership with the family. The Classical model of education states that children learn best when they are taught in accordance with the developmental stages through which they naturally grow. In preschool, teachers guide the students’ natural excitement for learning in the classroom setting, helping them interact with others and explore their world. Northern Colorado Christian Academy follows the classical Trivium model (“three ways of knowing”) model which defines the developmental learning stages of children and young people as follows. In the Grammar stage (grades k-5), children have a tremendous aptitude to learn facts and details. 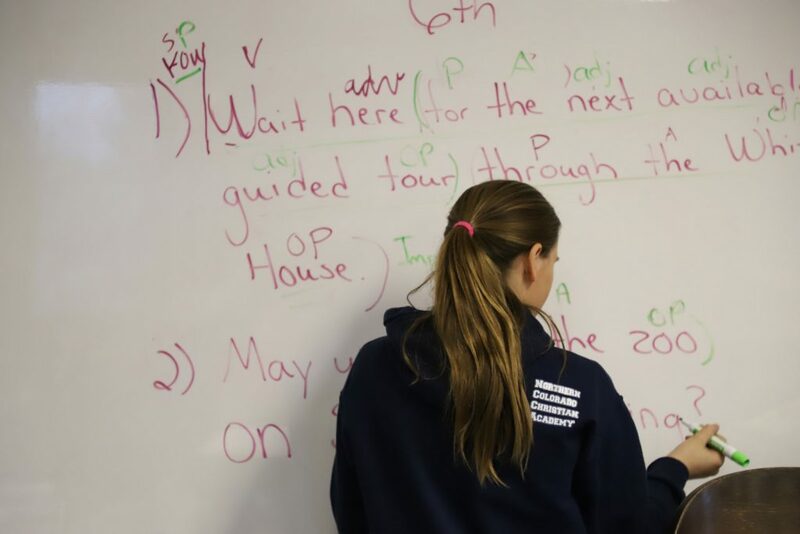 In the Dialectic stage (grades 6-8), students make the transition from “what” to “why,” drawing on previously taught and retained information in order to think critically and engage in higher-level reasoning. In the Rhetoric stage (grades 9-12), students extend their analytical skills into the areas of both persuasive and informative communication. 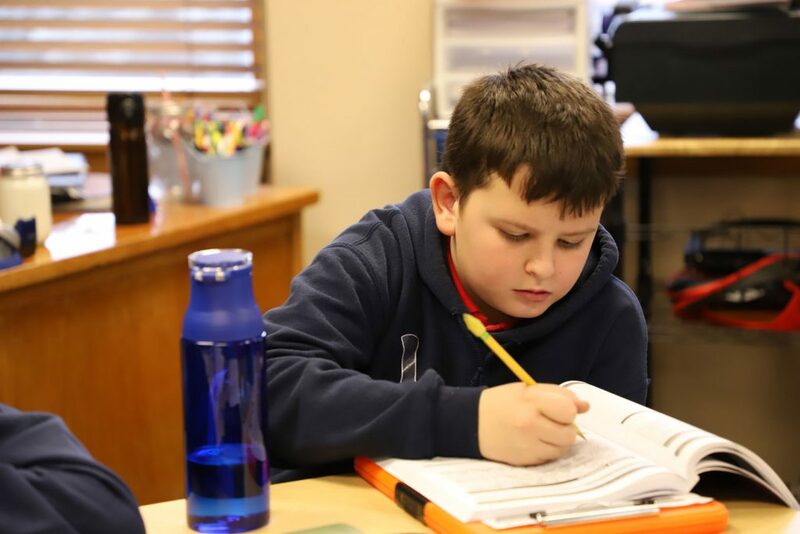 Northern Colorado Christian Academy’s staff seeks to establish a biblical foundation for all aspects of classroom learning and school activities. We are committed to walking the talk-living out God’s Word in a Christ-centered life that inspires and encourages our students to do likewise. God has entrusted parents with the responsibility to train up their children (Ephesians 6:4). We view our role as a school as an extension of that scriptural responsibility. Our desire is to come alongside the family, providing a Christian school whose objective is the godly equipping of children. 1. All knowledge and wisdom begins and ends with God. 2. The Bible is God’s special infallible revelation to mankind, inerrant in the original manuscripts, and the final authority in all matters of faith and practice. 3. Education is a growth process including teaching, instructing, training, correction, and disciplining. It must be based upon the total developmental needs of the individual learner as far as possible. 4. The primary responsibility for the education of children lies with parents as delineated by God in His Word. 5. In the Christian school the teacher, called of God and gifted in teaching, assumes a share of the responsibility of the parent to educate children in accordance with a Christian worldview. 6. Through fulfillment of this awesome, shared responsibility in obedience to God, parents and teachers reap honor from their children and blessings from the Lord.